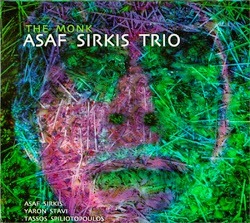 ASAF SIRKIS TRIO: "Dream", de The Monk, Egea, 2008. DEWA BUDJANA: "Saniscara", de Hasta Karma, Moonjune Records, 2015. 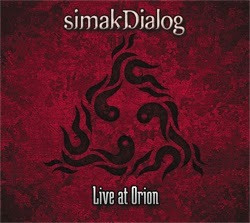 SIMAK DIALOG: "For Once And Never", de Live At Orion, Moonjune Records, 2015. PAOLO TOMASELLI: "Nenia", de Floating Bridges, Quadrant Records, 2014. 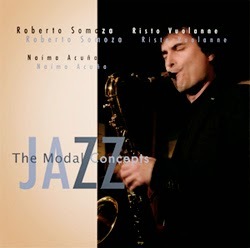 ROBERTO SOMOZA: "Fácil De Escribir, Difícil De Tocar", de The Modal Jazz Concepts, Roberto Somoza, 2014. TELMO FERNÁNDEZ & MARCOS PIN DUOLOGY: "I Fall In Love Too Easily", de Take A Second, Free Code Jazz Records, 2015. CHRIS POTTER UNDERGROUND ORCHESTRA: "Lament", de Imaginary Cities, ECM Records, 2015. 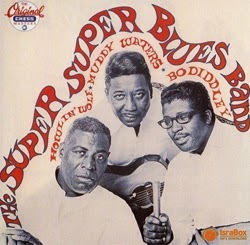 THE SUPER SUPER BLUES BAND: "Goin' Down Slow", de The Super Super Blues Band, Chess Records, 1968. 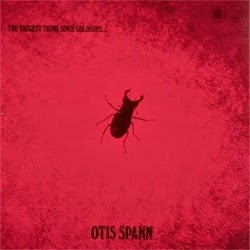 OTIS SPANN: "My Love Depends On You", de The Biggest Thing Since Colossus, Blue Horizon, 1969. OTIS SPANN: "Country Boy", de This Is The Blues, Roots, 1990. OTIS SPANN: "Great Northern Stomp", de This Is The Blues, Roots, 1990. OTIS SPANN: "Dig You", de The Biggest Thing Since Colossus, Blue Horizon, 1969. OTIS SPANN: "I've Got Ramblin' On My Mind", de This Is The Blues, Roots, 1990. 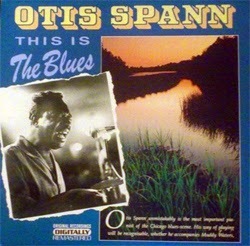 OTIS SPANN: "This Is The Blues", de This Is The Blues, Roots, 1990. OTIS SPANN: "Evil Ways", de This Is The Blues, Roots, 1990. MUDDY WATERS: "Off The Wall", de Muddy Waters / Howlin' Wolf Gold Collection, Retro, 1997. MICHAEL BERNIER & RITCHIE DeCARLO: "Catastrophist", de Michael Bernier & Ritchie DeCarlo, Michael Bernier & Ritchie DeCarlo, 2014. 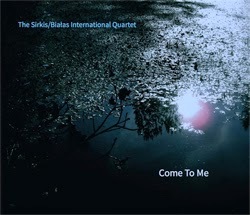 THE SIRKIS / BIALAS INTERNATIONAL QUARTET: "Orgon", de Come To Me, Sirkis / Bialas, 2014. ZHENYA STRIGALEV'S SIMILING ORGANIZM: "Horizontal Appreciation", de Robin Goodie, Whirlwind Recordings, 2015. 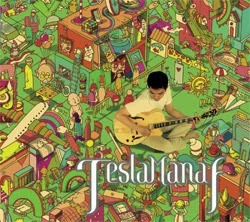 TESLA MANAF: "Counting Miles And Smiles", de Tesla Manaf, Moonjune Records, 2015. 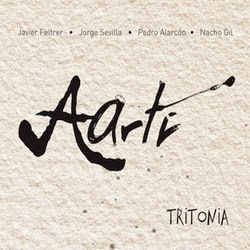 AARTI: "Se Avecina Tormenta", de Tritonia, Quadrant Records, 2014. SEBASTIÁN CHAMES: "Blues Tune For The King", de Reconstrucción, Youkali Music, 2013. VALENTÍN CAAMAÑO TRIO: "Minority", de The Joy, Free Code Jazz Records, 2014. LUIS DELGADO: "La Puerta De Los Pescadores", de El Hechizo De Babilonia, Nubenegra, 2000. 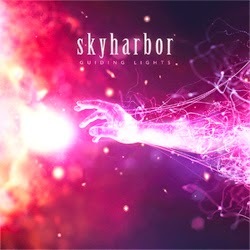 SKYHARBOR: "New Devil", de Guiding Lights, Basick Records, 2014. INNA ZHELANNAYA: "Borovaya", de Izvorot, Inna Zhelannaya, 2014. MARBIN: "Culture", de The Third Set, Moonjune Records, 2014. 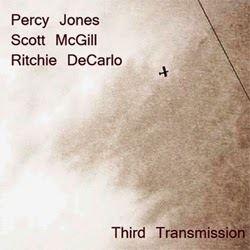 PERCY JONES / SCOTT McGILL / RITCHIE DeCARLO: "David Coppa Feel", de Third Transmission, Uniblab Recordings, 2015. GUILLERMO BAZZOLA: "Fácil De Usar", de Hora Libre, Blue Art Records, 2014. DAVID REGUEIRO SWINGTET: "What Is This Thing Called Love", de On Stage, Free Code Jazz Records, 2014. OH TRIO: "Loureiro", de Cancionero Gallego, Producciones Efímeras, 2014. TOLGAHAN COGULU: "Yemen Türküsü", de Atlas, Kalan Muzik Yapim, 2012.